ICE said it had updated its policy to end "the presumption of release" for pregnant detainees "to better align with the president's executive order." 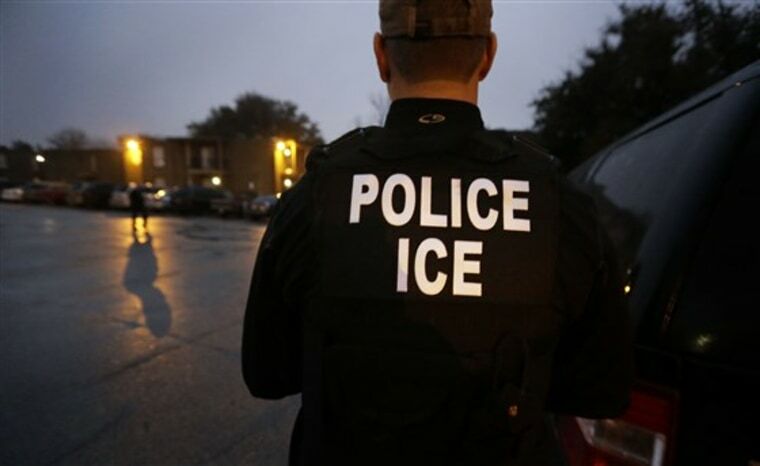 WASHINGTON — Immigration and Customs Enforcement no longer automatically releases most pregnant immigrants detained by authorities, the Trump administration announced Thursday. Instead, under the new policy, pregnant women are detained by ICE and assessed on a case-by-case basis on whether they should be released. The change has been in effect since Dec. 14, 2017, Philip Miller, deputy executive associate director for ICE removal operations, told reporters on a conference call. ICE made the policy public after informing Congress about the change in an email Thursday. According to a question and answer section on its website, ICE said it had updated its policy to end "the presumption of release" for pregnant detainees "to better align with the president's executive order." The order signed by President Donald Trump in January toughened immigration enforcement and did away with an Obama administration priority system for deportations. Current law requires all immigrants, including pregnant women, to be kept in detention if they are subject to "mandatory detention," usually if they have committed a crime or been caught illegally crossing the border outside an official border crossing. But ICE would generally release pregnant immigrants not in those categories. That means the women will be assessed on a case-by-case basis for their risk to the community and risk that they may try to stay illegally in the country, Miller said. ICE also will consider the woman's pregnancy and consult with medical professionals on ICE’s ability to care for the woman in detention facilities, he said. ICE said it does not detain pregnant women in their third trimester. news'Nothing for us here': Deported Guatemalans plan to return to U.S.
As of March 20, ICE had 35 pregnant women in detention and all of them fell in the mandatory detention categories. The policy change drew quick criticism. “This new policy further exposes the cruelty of Trump’s detention and deportation force by endangering the lives of pregnant immigrant women,” Victoria Lopez, American Civil Liberties senior staff counsel, said in a statement. In September, the American Civil Liberties Union and several advocacy groups complained to the Department of Homeland Security inspector general and the civil rights and civil liberties office that ICE was violating its policy on detention of pregnant women. But last November, Rep. Raul Grijalva, D-Ariz., asked the Government Accountability Office to investigate allegations of abuses of pregnant women in detention, including solitary confinement, shackling and lack of women's health services, according to a statement from Grijalva's office. "For the Trump administration to further lower the bar and subject more women to these health risks is disgusting," Grijalva stated.